Terrific looking recipes, but most require so many ingredients that you could afford dinner at Roy's Restaurant for the price of the shopping trip to obtain them. I made the sauce in a Vitamix without heating it on the stove. It came out wonderfully. It was so good we used 3/4 of a cup of sauce instead of the 1/4 called for in the recipe. Substituted organic zucchini for the eggplant. A feast for the eyes as well as the palate, this is the ultimate presentation of the exquisite flavors of Hawaii and the Pacific Rim. Boldly reinventing Hawaiian cuisine, award-winning chef Roy Yamaguchi emphasizes exotic seafood and fresh island ingredients, while borrowing techniques and flavors from European and Asian cooking. With favorites like Ahi Tartare with Crispy Polenta and Teriyaki Duck Salad with Candied Pecans and Papaya, this landmark book will help home cooks savor the tastes of the tropics no matter where they live. 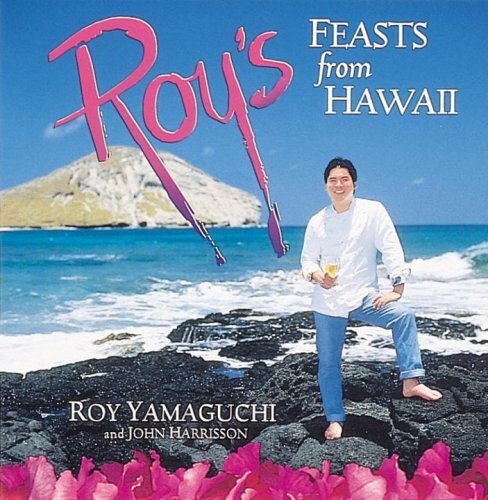 More than 150 innovative recipes from Roy Yamaguchi's world-famous Hawaiian fusion restaurants. Includes more than 100 full-color photos of Roy's vibrant dishes and Hawaii's natural beauty. The hardcover edition has sold 100,000 copies.